Badger Meter control valves can withstand the long-term challenges of reverse osmosis applications. Badger Meter, a US manufacturer of flow measurement products and control technologies, represented in the UK by Pump Engineering, has announced that its RC250/200 control valves are able to withstand the long-term challenges of reverse osmosis applications. Operating in highly corrosive marine and salt water environments requires control valves which are designed to provide high corrosive resistance. The company says its Badger Meter RC250/200 valves have been effective on reverse osmosis plants and salt water desalination plants. Reverse osmosis plants work on the principle of creating a differential pressure across a semi-permeable membrane. The pressures required to desalinate seawater are in the range of 50 – 60 Bar and must be controlled accurately to ensure that the membranes are protected from damage. Salt water is extremely corrosive and high-pressure components need to be manufactured in high quality corrosion-resistant materials. 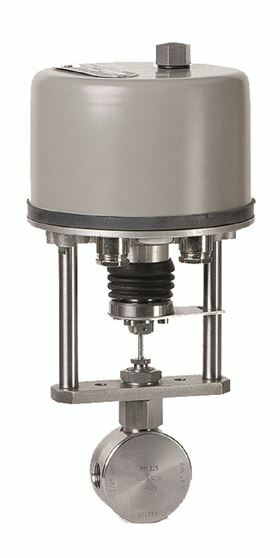 Machined from 316L, 904L or duplex stainless steel, the Badger Meter RC250 barstock control valve provides a high level of corrosion resistance and accurate pressure control. For reverse osmosis applications, the valves are supplied with 240v, 110v, or 24v DC electric actuators which are suitable for a seawater environment with position feedback and 3-point control.